I received this product free in exchange for review. All opinions are my own. My smile is important to me. I show it every day in my work as a teacher and my work as a make up distributor. 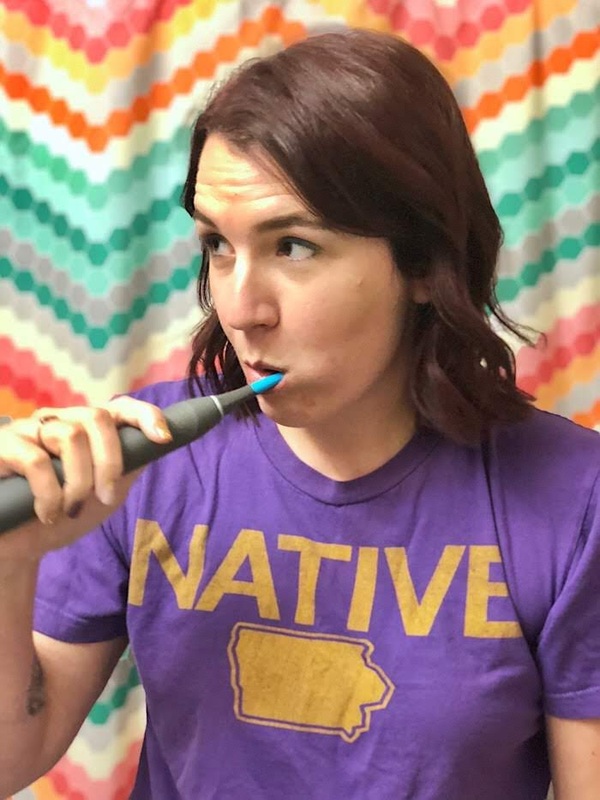 When Smile Brilliant asked me to review their electric toothbrush, I was excited because I am working to focus more on my dental health. To be honest with you, I don't have the best teeth. Part of that has been due to laziness, and I think part of it to genetics. It also may have to do with the fact that I wasn't a regular to dentist check ups as a child and some of my adult life. In the past year I have been making it a priority to floss daily in addition to my normal tooth brushing routine. I have used electric toothbrushes in the past but wasn't a huge fan because I didn't like the brush it had (you know, the tiny round one), it was loud, and it didn't have any variety in settings. Enter the Smile Brilliant cariPRO™ Electric Toothbrush! The first thing that excited me about this brush is the type of brush it has. Instead of a tiny round brush, it has a brush that is similar to your traditional toothbrush. The bristles are not too soft, and not too stiff. They have angles that reach between teeth for optimal cleaning. I also appreciate that the replacement heads are reasonably priced. If you want to know more, make sure to check out the Frequently Asked Questions page about this brush. I am excited to team up with Smile Brilliant to give a Smile Brilliant cariPRO™ Electric Toothbrush away to one lucky ByBMG reader! And if you're ready to purchase a Smile Brilliant cariPRO™ Electric Toothbrush for your yourself, use the code bybmgblog20 at checkout for a 20% off discount! How do you make your dental health a priority? Do you use an electric toothbrush?